These past couple of years, Oman has been popping up on various lists of best places and countries to visit that have been published by many parties including travel magazines and travel guide books. It’s hard not to see why. Compared to its neighbouring Gulf countries like the UAE and Qatar, Oman is pretty conservative and has been lying low on the radar among most holidaymakers. That is where one of its attractions lies. You don’t see that many tourists around apart from the weekenders made up of expats from around the region. The culture seems to be very much preserved and can be seen in their everyday life even in their capital city, Muscat. And despite the conservativeness of much of the country, the locals are friendly and very welcoming towards visitors. And then of course, there are those amazing and dramatic landscapes throughout the country too. I find it interesting too that while Oman might be known as one of Muslim countries, the majority of its population is neither Sunni nor Shiah, two of the biggest sects among those who practice the Muslim faith. Instead, they are made up mostly of Ibadi school of thought, which predates both Sunni and Shiah denominations, and which, these days, is probably almost unheard of outside of Oman, Zanzibar and some North African countries. This is where most visitors head over to whilst in Muscat. Formerly a centre of commerce for Muscat before the discovery of oil, Muttrah today remains a commercial centre albeit with a touch of the beautiful past. Here you can walk along the Corniche, enjoy the view of the old port on one side, and the old commercial buildings and glistening minarets on the other side as well as old Portuguese forts on top of the hill not far in the distance. One of the two most prominent features of the Corniche is probably Masjid Al Rasool Al A'dham (or more commonly known as Al Lawati Mosque). Al Lawatia is a group that has origins from South Asia although it has been claimed that they are originally of Arab descent. A prominent group in Muttrah district, it has a gated quarter here that is known as Sur al Lawatia. The mosque however is not opened to non-Muslim visitors. Muttrah Souq is the other prominent feature of the Corniche. The souq is known locally as Souq Al Dhalam (darkness) because not much sun rays get through into the souq (at least in the old days and in some parts of it today). This is a popular shopping destination among locals & visitors alike; and because you can find almost everything you'd ever need here, the souq can get a bit crowded at times. But don’t let that deter you from exploring it. Both records however have since been taken over by mosques in Abu Dhabi and Doha respectively. However, don’t let that clouds the fact that the mosque is real grand, with nothing was spared during its construction. The mosque is open to non-Muslim visitors too. It is advisable to head there in the morning if you're planning to make a visit. Today, Al Alam Palace is the ceremonial palace for the Sultan of Oman. While the building is now only about 40 years old, the palace itself has a long history that started some 200 years ago. Its art deco-ish design and colours make it probably one of the most unique looking palaces around. Owing to its strategic location, Muttrah is dotted with a few forts that sit atop the rocky hills which overlook the Corniche area, Muttrah town and Gulf of Oman. These forts were built by the Portuguese back in 16th century for military purposes, mainly to protect Portuguese interests in the area against the threat of attack, particularly by the Ottomans and Persians. Muttrah Fort is one such fort. It dominates the city's skyline and provides a beautiful backdrop to Muttrah. Located right above Muscat Gateway, which defines the old boundary of Muscat city, this public museum has interesting displays & exhibits on history of Oman. One of the places to go to if you’d like to learn more about Muscat and Oman in general. This private museum has quite generous displays of Omani handicrafts, jewellery and weapons. There are also a few exhibits like a traditional house and boat in its compound. If you’re however into history and prehistory of the city, the country and the region, this is the place to head to. This former home of American Mission and the British Council has presentations of settlements in the city and region from millennia ago. It also hosts some temporary art exhibitions from time to time. The list above covers locations within Muttrah and just outside Muttrah but still in Muscat city. You can cover these places over maybe a 2-day trip or stopover. There are also of course many options to travel outside of the city on day trips to see the beautiful wadis, incredible mountains, amazing deserts and even dolphins in the sea. So just make sure you add the number of days accordingly for your trip to Oman. The photos used above are just some of the photos of Muscat that had been shared recently. If you'd like to see more, check out and follow Ramble and Wander's Instagram account. 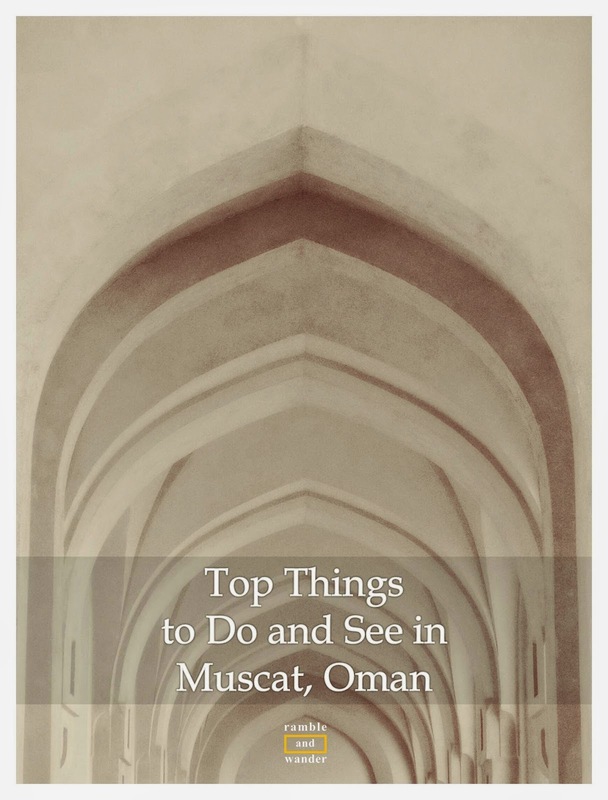 Going to Muscat, Oman? Do check out these Muscat hotels for your accommodation requirements there. For other www.RambleAndWander.com blog entries on Oman, click here. For other travel blog series on "Top Things to Do and See in...", click here. nice list and as always great photos bro. Thanks, Azuan. Tak pernah lagi fly dgn OmanAir tapi tgk mcm best je. 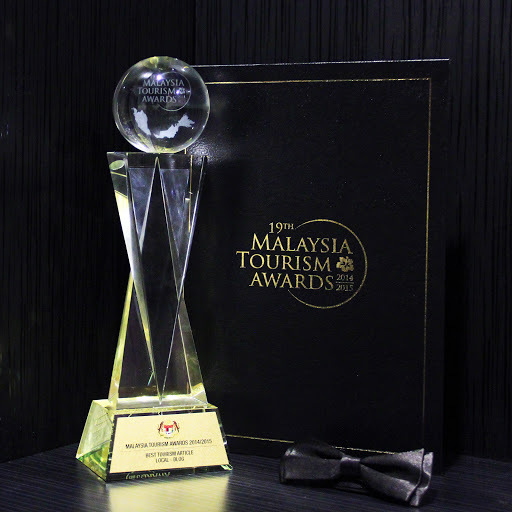 Dah menang a few awards jugakan? We had a recent layover in Doha and I found myself wondering about Muscat, which is a quick flight. I was happy to see your post and confirm that we may want to visit. Thanks! Thank you. Muscat (and Oman in general) is definitely worth a visit, in my opinion. Yes, it's beautiful and the scenery especially outside of the cities can be really breathtaking. And yes, I think it's not exactly a place for budget holidays as things can be quite expensive even when compared to the neighbouring UAE. You are right! Amazing and dramatic landscapes indeed. Yup! I would love to go back again and explore more of the country one day! I never had Oman on my bucket list. But it's a new entry thanks to you. What amazing architecture! Glad to know that! :) Hope you'd get to visit and enjoy Oman soon! Great photos. Oman looks beautiful. Good info. Thanks for sharing. Beautiful masjid as well. Oman looks amazing. The architecture is stunning. Ah, I didn't know Muscat had a Portugese past. It looks like a nice part of the middle east to explore. Great shots! I especially like the one of the Portuguese Forts! how did you put the instagram links in the blog?? mau buat jugakkk!!! This is just too gorgeous; your photos are absolutely stunning.